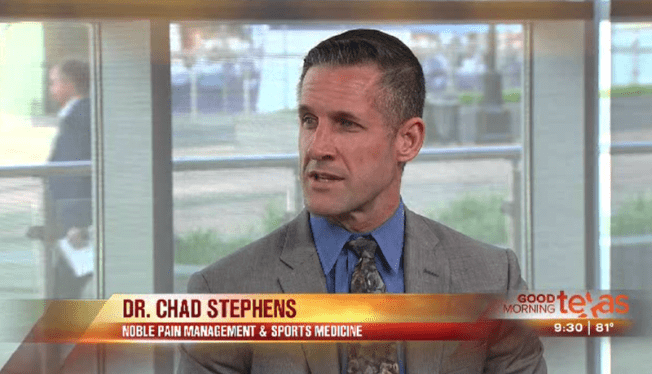 On July 10, Dr. Chad Stephens visited Good Morning Texas to discuss the COOLIEF radiofrequency system as treatment for chronic pain. Check out the exclusive live interview below! COOLIEF is a minimally invasive outpatient procedure that uses heat to shut down pain signals to the brain. However, unlike traditional radiofrequency procedures, COOLIEF uses cooled radiofrequency energy to more safely target nerves. While the device heats the nerves, it also circulates water through the area. It produces less heat overall, which increases pain relief effectiveness. In total, COOLIEF takes less than an hour and requires no general anesthesia. Most patients begin returning to their normal activities the day after, though you may feel lingering pain for 1-2 weeks. Want to know if COOLIEF is right for you? Contact us.